Grantham, Mayo and Van Otterloo, the firm co-founded by Jeremy Grantham (Trades, Portfolio), disclosed this week its top six buys for fourth-quarter 2018 were Booking Holdings Inc. (BKNG), iShares Core MSCI Emerging Markets (IEMG), Red Hat Inc. (RHT), Newfield Exploration Co. (NFX), ARRIS International PLC (ARRS) and Campbell Soup Co. (CPB). The firm's equity portfolio, which represents approximately $12.52 billion of its $70 billion in total assets under management, contains 524 stocks, of which 95 are new holdings. Technology stocks represent 34.67% of the equity portfolio while health care stocks represent 17.87%. GMO said in its quarterly letter the markets came into 2018 with an "unrealistic" set of expectations, leaving investors disappointed. Most asset classes suffered losses for the year, as Table 1 illustrates. 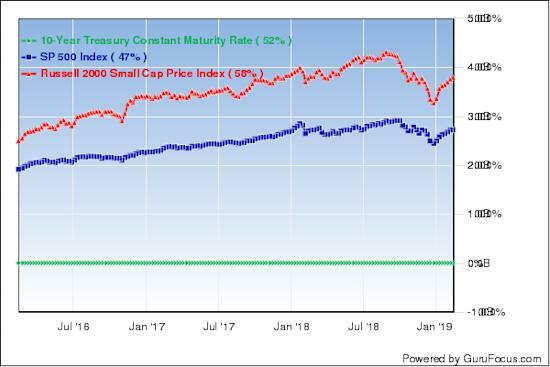 The firm then noted U.S. Treasury bills, which returned 1.9%, outperformed both the S&P 500 and the Barclays U.S. Aggregated Bond for the first time since 1994. 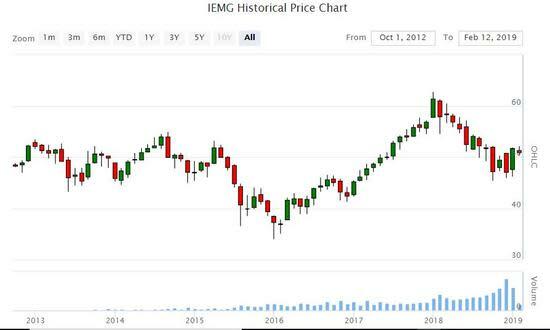 Despite the setback, GMO established a 1,947,723-share stake in the iShares Core MSCI Emerging Markets exchange-traded fund, giving the position 0.73% equity portfolio space. Shares averaged $48.30 during the quarter. GMO Board Member Ben Inker, head of the firm's asset management team, said while analysts are predicting just 2.5% growth in the MSCI Emerging Markets index for 2019, the forecasts "assume earnings growth significantly below GDP growth." Further, GMO reiterated its asset allocation process parts ways from analyst forecasts and instead assumes things gradually revert to the mean. The firm said its December 2018 forecasts illustrate an "inverse of expectations" ordering, with emerging markets having the highest annualized returns over the next seven years. GMO invested in 79,714 shares of Booking Holdings, giving the position 1.10% equity portfolio weight. Shares of the travel and leisure company averaged $1,827.19 during the quarter. Booking Holdings provides booking services for hotel rooms, airline tickets and restaurants. GuruFocus ranks the company's profitability 9 out of 10 on several positive investing signs, including expanding profit margins and consistent revenue growth. 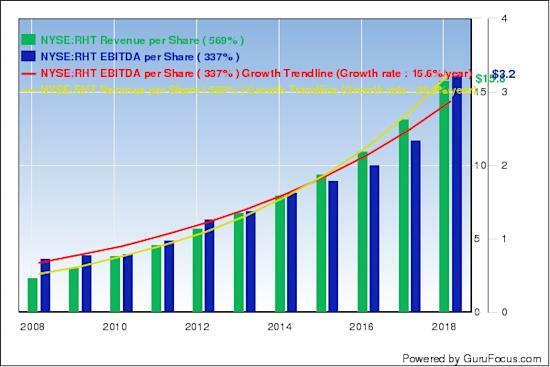 Booking Holdings' operating margin is near a 10-year high of 36.72% and is outperforming 94% of global competitors. GuruFocus ranks Booking Holdings' business predictability 3.5 stars out of five on strong revenue growth over the past 10 years. 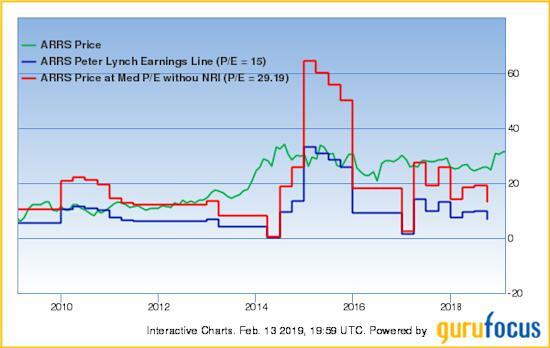 Other gurus riding Booking Holdings' strong profitability include David Carlson (Trades, Portfolio), Wallace Weitz (Trades, Portfolio) and First Eagle Investment (Trades, Portfolio). GMO invested in 433,284 shares of Red Hat, a company tied to a merger with International Business Machines Corp. (IBM). Shares of Red Hat averaged $159.61 during the quarter; the firm dedicated 0.61% of its equity portfolio to the position. Red Hat provides services for its version of Linux, including the platform's operating systems, middleware, storage, visualization and management tools. 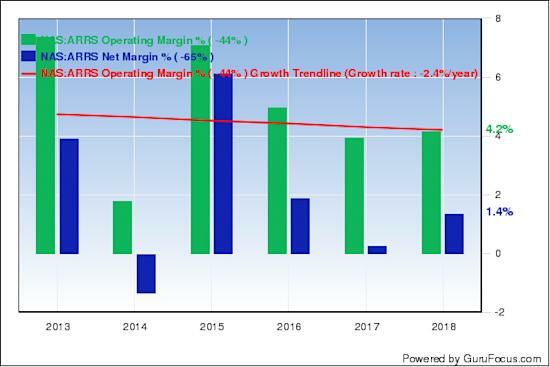 GuruFocus ranks the company's profitability 9 out of 10 on several positive signs, which include a strong Piotroski F-score of 7 and operating margins that are outperforming over 82% of global competitors. Additionally, Red Hat's business predictability ranks 4.5 stars out of five on strong and consistent revenue and earnings growth over the past 10 years. Other gurus riding Red Hat's strong profitability include Mario Gabelli (Trades, Portfolio), one of several speakers at our upcoming value conference. GMO invested in 2,553,373 shares of Newfield Exploration for an average price of $19.81 per share, giving the position 0.30% equity portfolio space. Newfield Exploration explores, develops and produces crude oil, natural gas and natural gas liquids. 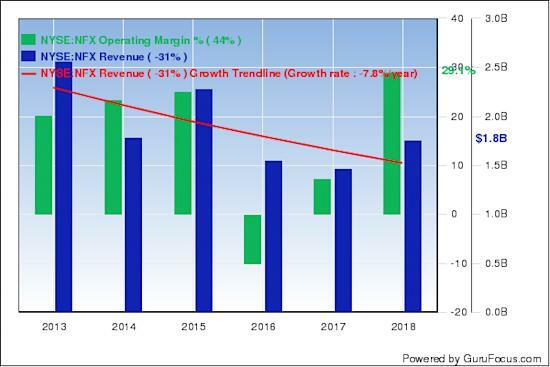 GuruFocus ranks the company's profitability 6 out of 10: even though revenues declined approximately 18.90% per year over the past three years, Newfield Exploration has a strong Piotroski F-score of 7 and operating margins that are outperforming 80% of global competitors. GMO invested in 1,141,796 shares of ARRIS International for an average price of $27.93 per share, giving the position 0.28% equity portfolio space. ARRIS International provides a wide range of media entertainment and data communications solutions through two business segments: customer premises equipment and network and cloud. GuruFocus ranks the company's financial strength 6 out of 10: although the Piotroski F-score ranks 7 out of 9, ARRIS International's debt-to-equity ratio of 0.73 underperforms 72% of global competitors. Other severe warning signs include contracting profit margins even though the company's profitability ranks 8 out of 10. GMO invested in 567,209 shares of Campbell Soup, a company in which activist investor Daniel Loeb (Trades, Portfolio) increased his holding to 21 million shares during the quarter. Shares of the convenience food manufacturer averaged $37.82 during the quarter. 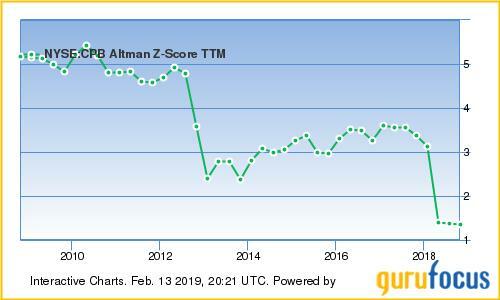 GuruFocus ranks Campbell Soup's financial strength 4 out of 10 on several weak indicators, including a debt-to-EBITDA ratio of 11.65 and an Altman Z-score of 1.33. The former exceeds Joel Tillinghast's safe threshold by approximately 7.65 while the latter suggests possible bankruptcy risk within the next two years. 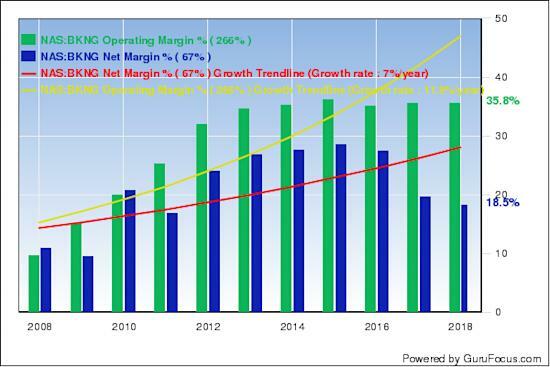 Despite low financial strength, Campbell Soup's profitability ranks 7 out of 10 primarily due to operating margins and returns on equity outperforming over 86% of global competitors. The GuruFocus platform offers two separate paths to value investing: not only does the website track the most broadly held guru stocks, it also lists stocks meeting key criteria from legendary value stars like Ben Graham, Peter Lynch and Berkshire Hathaway Inc. (BRK-A)(BRK-B) co-managers Warren Buffett (Trades, Portfolio) and Charlie Munger (Trades, Portfolio). Table 2 lists the value screener record as of Wednesday, the day before investors and gurus celebrate Valentine's Day with their loved ones. Premium members have access to our key features, which include the aggregated portfolio of gurus, all value screens and the All-in-One screener.